China returns for their fourth consecutive International Cup with a mix of youth and experience that reflects their progress across the past decade of the Chinese national team’s existence. With several players with Australian experience and momentum building amongst a core group of players who’ve recently played competitive international matches, China are a chance to be a major competitor in the Men’s Division 2 of this year’s International Cup. 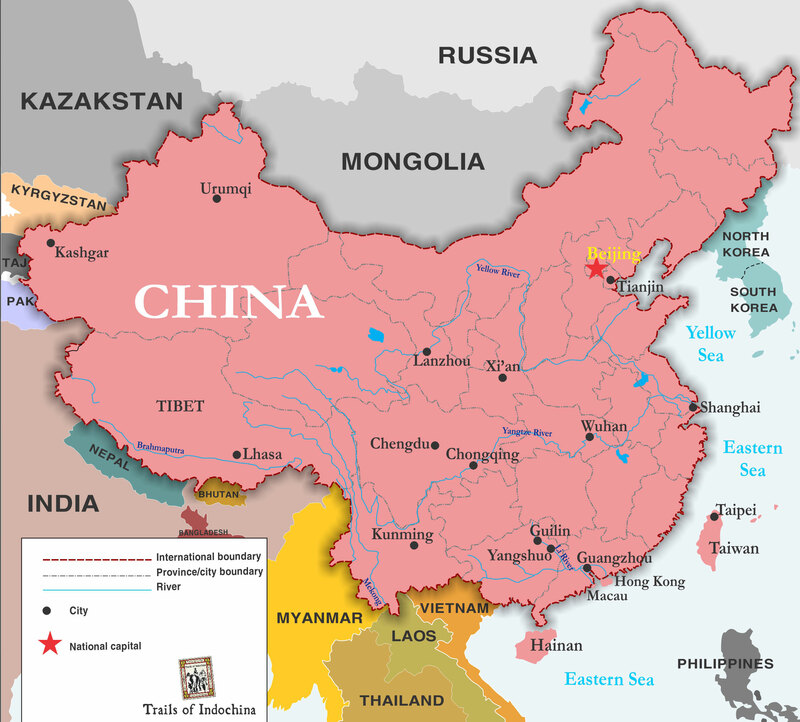 An AFL development officer has been based in China almost continuously since 2006, with recent local development being largely based around schools and universities in Guangdong province (mainly through the Guangdong AFL & South China AFL) The past five years has also seen further consolidation of clubs in the major cities and the expansion of AFL Asia has seen more opportunities for competitive matches across the region. 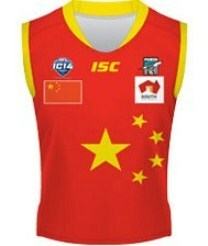 The success and impressive crowd turnout of the Port Adelaide v Gold Coast match in Shanghai in May further exposed the potential for expanding the game into China, it seems likely an AFL match will be played annually in Shanghai for the next three years, providing ongoing opportunities to leverage local development. Port Adelaide Football Club have once again come through as a host and major sponsor of Team China, the boys will be visiting Adelaide before travelling to Melbourne for tournament matches. This is without doubt China’s strongest ever team. The nucleus of the team are university students based in Guangzhou, who have been getting regular training and match exposure in the GDAFL & SCAFL respectively, these players have also had recent national representation and tour experience in Ho Chi Minh City, Vietnam (2017 All Asia Cup) & Shanghai (AFL Match ‘Curtain Closer’ v Asian Lions), this has raised the standard considerably; together with at least 8 Australian based players (including Port Adelaide recruit Chen Shaoliang & Chinese footy Stalwart Jiaming ‘Jamie’ Pi) it makes for a balanced team on paper. Coach will be Bill Poly, who previously coached many of the players in Guangzhou. Zhang Hao (an important leader on field and off field) will be returning for his 4th tournament and will be co-captain along with Chen Shao Liang. The team will be fit and will aim to exploit this against their opposition, with an average height of 177cm, they will be aiming to keep possession of the ball and utilise their pace. Chen Shaoliang returns from injury to be a mobile target for the team, Deng Xiao Yu and Liu Zhao Rui will be important to the team structure. Yu Chao Xiang & Jiaming Pi are ball getters and crucial link up players. Chen Shu Kai will be playing as a ruckman and will be prominent as well. For the pool matches, China face Croatia, Indonesia & Sri Lanka, their performance first up against Croatia is an important one, it’s likely to be a physically challenging match, getting a win unscathed could set them up for a high placing. China will take confidence from the fact that they narrowly lost to Indonesia in the All Asia Cup in Ho Chi Minh City last year and Sri Lanka are tournament debutants so China will think of these as winnable games. The match against Indonesia in Digger’s Rest as part of the Community Round, is shaping as a really close and high pressure contest, potentially one of the highlights of the tournament.